A content management system (CMS) is crucial for your business as it makes the delivery of content easier. Publishing and updating content even without the knowledge of HTML makes CMS the perfect choice for businesses. Ecreate is very experienced in offering quality content management system which meets the business needs. Moreover, we offer you the best administrative tools which will help you update press releases, news and other contents. 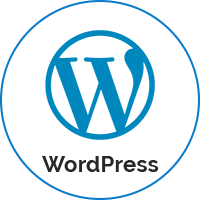 Ecreate Infotech WordPress developer team helps to build WordPress and many of its most popular plugins by contributing to their open-source projects. With more than 40 custom WordPress themes and plugins published for clients. Ecreate has a proven track record of successful enterprise-level WordPress projects. Ecreate Infotech goes beyond site builds. We engineer cloud publishing networks to serve rich content to millions of simultaneous users. Ecreate WordPress applications can integrate with other systems in real-time, scale on demand to handle traffic spikes and run with enterprise-grade speed and security. Joomla acts as the perfect tool for an attractive and highly scalable web development. 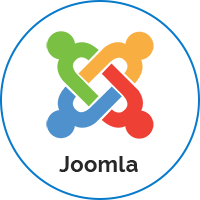 Joomla is a reliable platform to develop custom software, your enterprise precedence-driven web application, promoting internet and intranet-faced web portal, that too, at affordable rates. Ecreate is Joomla Development outsourcing agency that works to convey you first-class software development services. We have the understanding and knowledge to deliver you the solution with a purpose to make you love Joomla just as we do!